Science, Technology, Engineering and Maths fun for kids! Help create future generations of world-changing big thinkers! 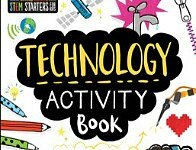 Check out our latest books - STEM Starters for kids! As you know, STEM stands for 'science, technology, engineering and maths'. These four areas are inextricably linked and are crucially involved in the the new discoveries and inventions that make our lives easier and world a better place. STEM subjects aren't as popular with young people and many don't pursue these subjects into further or higher education. On top of this there's also a big gender divide and a lack of diversity in those who do choose STEM studies and aligned careers. We make STEM exciting! Our series is full of cool and funny illustrations, fascinating facts and relatable exercises that will appeal to both boys and girls from many diverse backgrounds. 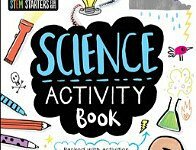 Little scientists will love the big ideas in this activity book. They'll discover more about science at home by reading the simple explanations and doing the beautifully illustrated activities on each page. From the power of magnetism to the energy that fuels our world, this is some seriously smart stuff. Technology is science in action. Little learners can discover more at home by reading the simple explanations and doing the beautifully illustrated activities on each page. This is a terrifically technological treat that will start a lifelong passion for STEM subjects. Engineering is what brings machines to life. 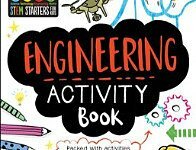 Little learners can discover more about engineering at home by reading the simple explanations and doing the beautifully illustrated activities on each page. Start a lifelong passion for STEM subjects and inspire children to, one day, contribute an invention of their own to the world. Maths is a huge part of science, technology and engineering. 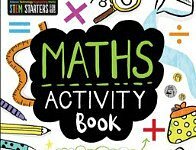 Young mathematicians can discover more at home by reading the simple explanations and doing the beautifully illustrated activities on each page. Start a lifelong passion for STEM subjects and inspire problem-solving skills. My son (who is 8) just fell in love with these books the minute he picked them up, I am sure your kids will love them too! Thank you for your comments, they will appear shortly once approved.